Hey guys! So yesterday I picked up a few little bits for Noah to tide his wardrobe situation over for a little longer. 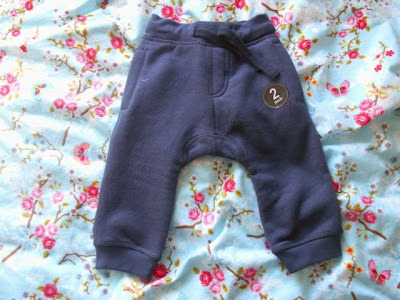 I am just in awe of how much he is growing at the moment though and I keep finding that clothes he was given at Christmas time are already too small and tight on him! Noah will turn 9 months on March 16th (where did that time go too?!) 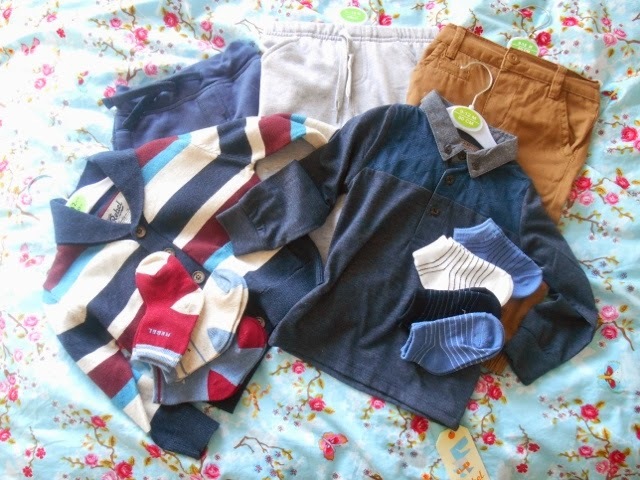 but already he is well into size 9-12 month clothing! Obviously different shops sizes run slightly differently to each other so he does still wear some age 6-9 month outfits, but really for the most part he is well into the next size up. 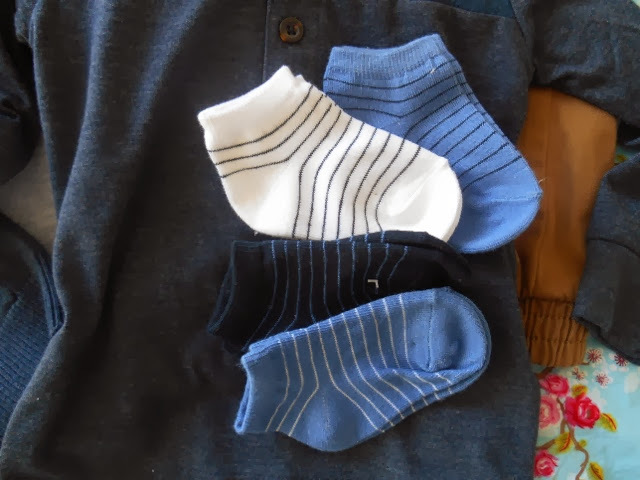 Blue socks from Primark: I love the stripes and these will be so easy to match with lots of different outfits. 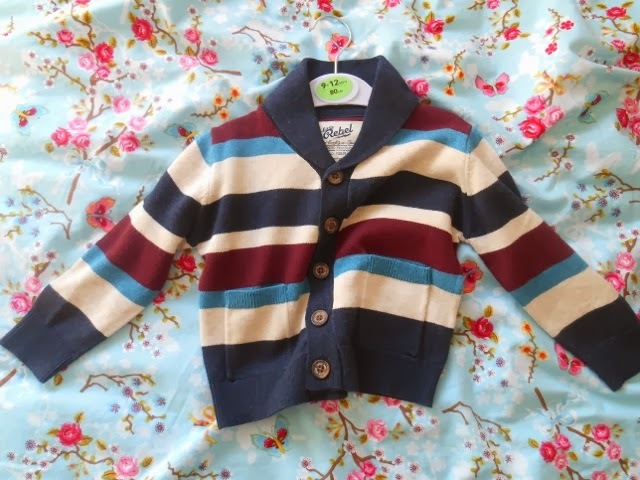 Cardigan from Primark: Again, I love the stripes and the navy and maroon mix. This will take Noah through spring nicely I think. 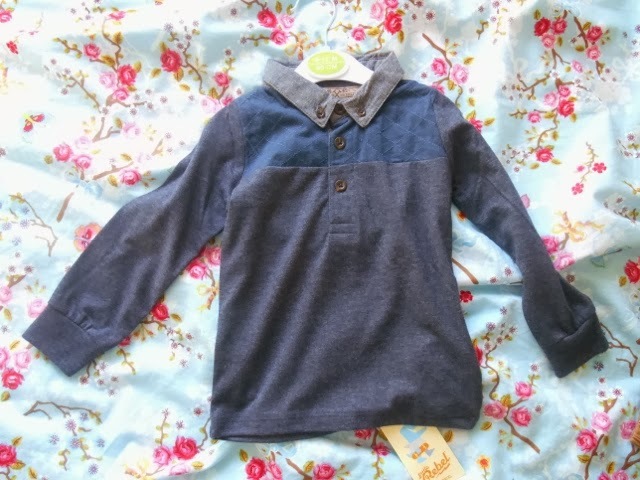 Simple long-sleeved top from Primark: I love the blue again, this is so simple and basic, but easy to layer with jumpers and coats and I think the collar is so cute! 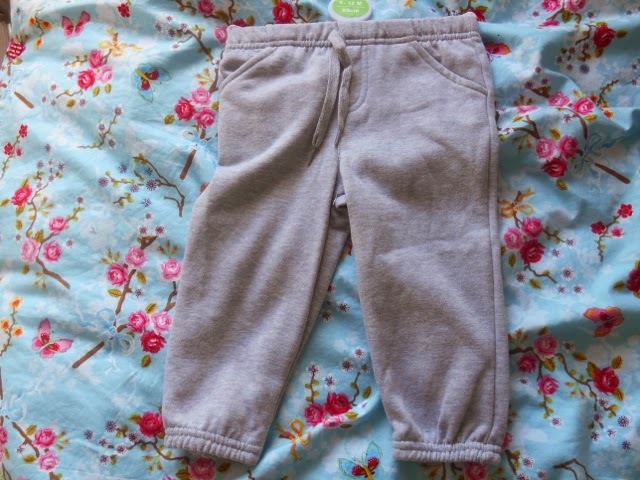 Jogger bottoms from Next: These are actually from a set of two, the other pair are grey but I don't have a photo as Noah was wearing them today and napping whilst I was photographing! They're lovely and soft inside though and perfect whilst the weather is still chilly! Grey jogger-bottoms from Primark: staple staple staple! 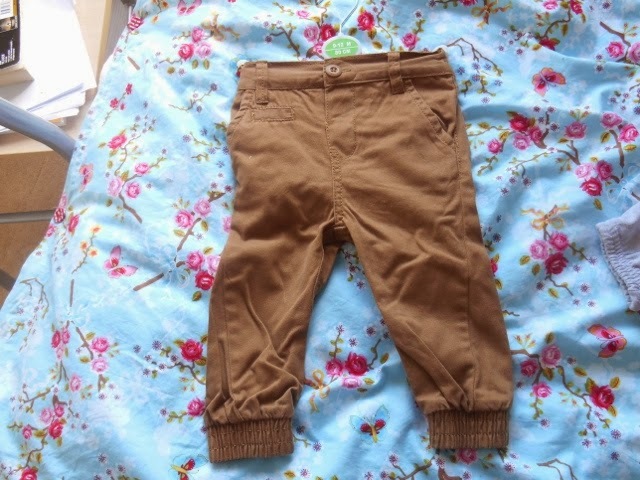 Camel coloured jeans from Primark: I think Noah has gone through about three pairs of these, starting with the earliest size! They are really cute on and look so stylish in a cute 'baby-way' of course! 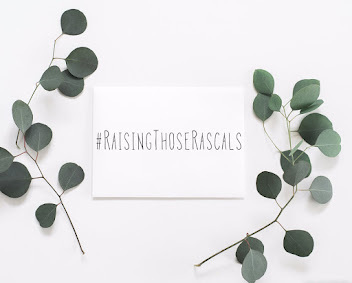 That's everything for now, I really enjoyed showing you my mini 'baby haul', I might feature these more often! To all the other mummies out there, Where do you shop for your little one's? And what do you dress your baby boys in? 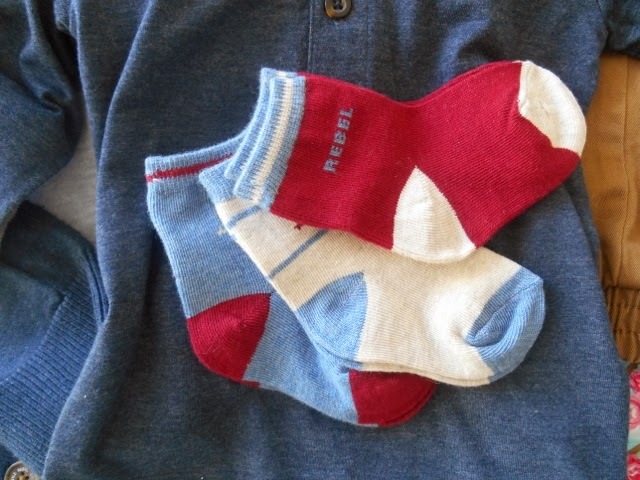 I shop a lot at H&M for my son, I always find nice pieces!